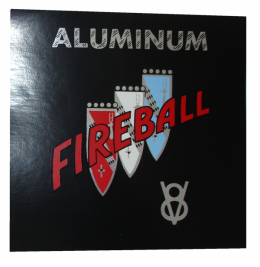 Aluminum fireball V8 air cleaner decal. Top quality reproduction. MADE IN THE USA.